Details: Embroidered Coventry Badge, sponsor felt. 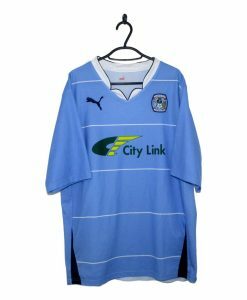 The 1999-00 Coventry City Home Shirt which was made in house has a sky blue base colour. The collar, side panels and stripe on each shoulder are coloured navy. White piping runs throughout the jersey. 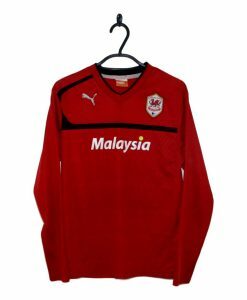 The Sky Blues badge is placed in the centre of the chest whilst Subaru have their name beneath that coloured white.